Joe McNally recent rooftopping photo is soooooo freaking INSANE! The photo below was taken by him at the top of Burj Khalifa! i wonder if he even feel vertigo for doing that, because i am feeling giddy just by looking at the picture. 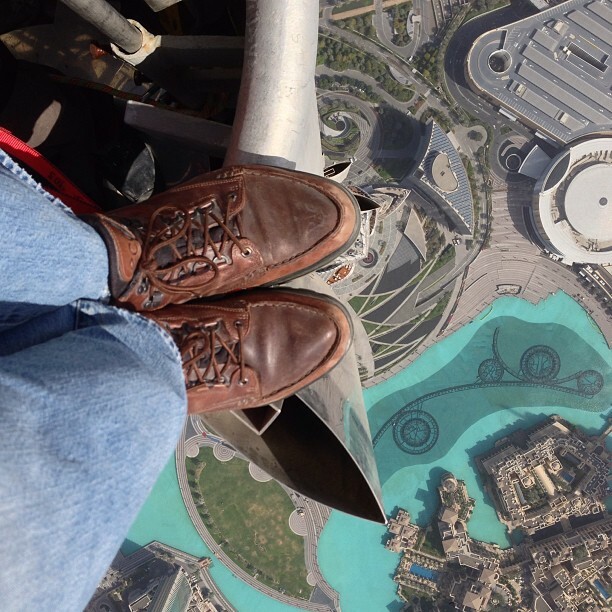 Would you be brave enough to climb up the world tallest building to take the same kind of photo? i'm not. Read the full story via Peta Pixel.